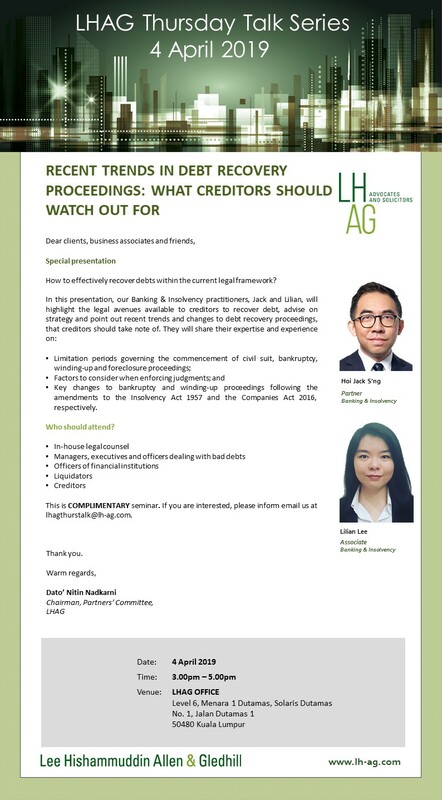 Recent Trends in Debt Recovery Proceedings: What Creditors Should Watch Out For? Please click here to view brochure. If you are interested, please email to lhagthurstalk@lh-ag.com.